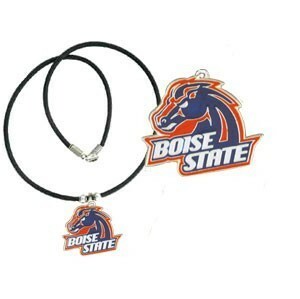 Offically Licensed Logo pendant strung on rubber cord. Pendants are approximately 1 1/4" h and enameled in vibrant color. Features an easy to open/close clasp.